Hello, my friends! Here we are at the end of another month and the end of the first quarter of the year. A quarter of 2016 is already gone! I hit the reading and blogging doldrums a bit this month; sometimes I feel like no matter how hard I try to put aside some dedicated reading and blogging time, it just gets eaten up by everything else in life. There are times when I'm weaker than others in letting this frustrate me; this was one of those times when I let frustration get the better of me. I also just felt really uninspired—in writing reviews, in coming up with ideas for discussion posts, and even in commenting. The words just refused to flow. 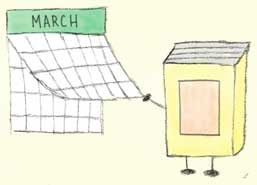 It's almost a new month, though, and April has lots of good stuff on the horizon, like a new season of Game of Thrones and THE RAVEN KING. There will be a Raven Cycle Week #2 here on the blog, and anybody who's also a fan of the series is welcome to join in! I'll be making a post with further details very soon. This is Daisy! 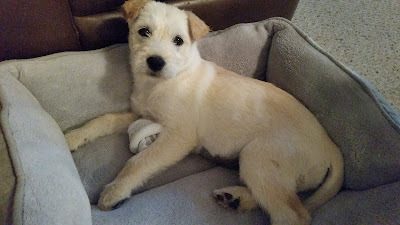 She's a puppy, and she loves stealing socks, eating shoes, and being ridiculously adorable! 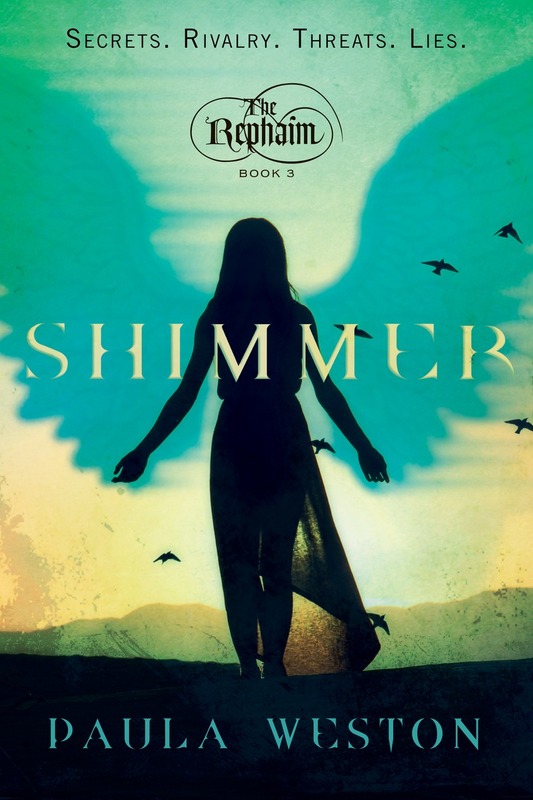 Shimmer was a fantastic sequel—it was a nearly two year wait for this book but definitely worth it! "Everyone forgets about '95. You know why? We didn't make it to the World Series that year. But I'll tell you what, that September was some of the most amazing, crowd-pleasing baseball I've ever seen." When's your next NY post?? Not sure- have to work on that, lol. Oh my gosh, Daisy is soooo cuute! She's looking at the camera like 'What? These socks are deeeefinitely mine..." Haha. She LOVES socks, lolol! And she doesn't care if they've been worn already! Aww, I'm so sorry you hit a bit of a reading/blogging slump! *HUGS* But you know what? That happens to all of us! Take however long you need to get your passion back. We'll all be here when it hits you again :) Daisy is adorable, congrats to all of you on the new addition :D And April WILL be better because THE RAVEN KING!!! ♥ Enough said LOL! I'm sure I'll be completely back in the groove when I get The Raven King in my greedy, greedy hands! XD Are you ready for it? I like to think I am, but in my heart I know I'm not, lolol! Daisy's just plain adorable! Hope your slump wears off soon! Thanks! :D I took a bit of a breather this week, and it helped! Yes- here's hoping that we both come back to blogging feeling refreshed! :D I'm getting there; I don't feel as drained as I did last week and plan to read some highly anticipated books this month. Hope you're enjoying some reading time, too!